It’s your time to bloom! 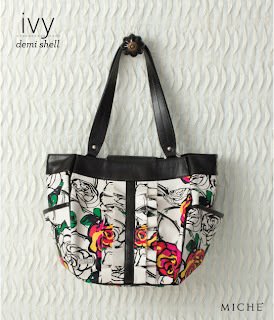 The Ivy Shell for the Demi Bag is like being in an enchanted garden, complete with abstract rose print in bold shades of red, pink, yellow and green. Tuxedo ruffles on the front and black trim details add just the right amount of sophistication to this unique Shell. Where ever you are going you'll look stunning.